The twisted and intriguing storytelling that you loved in Consequences and Infidelity is back with the stunning conclusion of an all-new alpha anti-hero in the dark romance series Web of Sin, by New York Times bestselling author Aleatha Romig. You won’t believe your eyes as Promises brings the Web of Sin trilogy to a dramatic close. 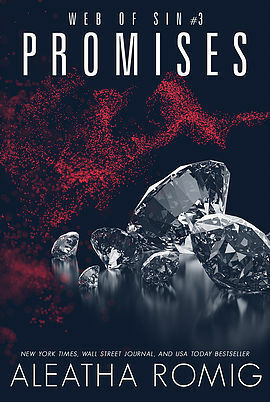 Promises is book three of the Web of Sin trilogy.